Send Mark a message by filling in the form below. Contact him through this form to discuss school or Skype visits. Scroll down for testimonials. Read about potential presentations here: Holtzen Author Visits. You might consider joining his e-mail list for infrequent book news by clicking here. Leading Pre-K through 4th graders using props to tell simple stories. Holtzen talking storytelling, the struggle when you aim to create, and sharing work old and new with all the messiness in between. 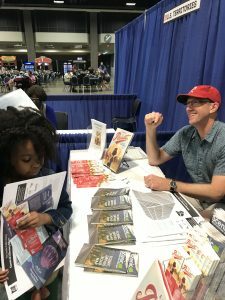 Interacting with kids at the 2018 National Book Festival in DC. Mark caught and held everyone’s attention as he spoke about the difficulty of getting started, shared his own worries about the possibility of a disappointing result, and addressed students’ fears about taking the next step in the creative process. In sharing with the class, he brought them into his writing world and encouraged them to focus on taking just the next step. By the end of our time together, I was ready to pick up some long-ignored projects! Mark Holtzen made his books come to life for my class! He brought in original programs and news articles. They loved that he pointed out specific pictures in the story and how they represented the time period – cushions that rented for 15 cents, the peanut and popcorn bags, the hidden radios, the original baseball cards and how they were included in the author/illustrator information, and countless other interesting aspects. Mark engaged the students with multiple interesting story starters. He maintained excellent classroom management skills and acknowledged each child’s efforts. Mark’s book, A Ticket to the Pennant, is a great story about perseverance, responsibility and community. The book has a unique way of also sharing a slice of Seattle’s history at the same time. A teacher by trade, Mark fielded questions with ease, and kept kids engaged. 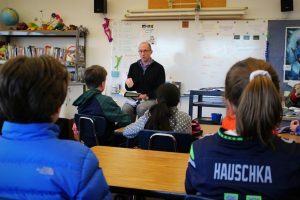 My kids did a lot of work crafting stories this school year, and it was wonderful that Mark shared his personal experiences as a published author and insights about the writing process. 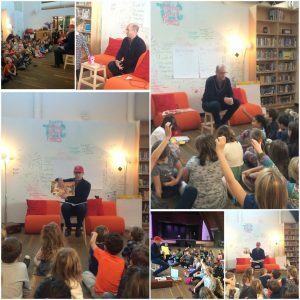 At the end if the session, Mark led the kids through a story starter… all of the kids began bubbling over with ideas. It was great. Thank you Mark! I can’t wait to read what you come up with next! After years of having my Advanced Ecology students undertake research projects, I’d been searching for new ways for my students to communicate their findings. Though I have used a variety of formats, Mark introduced my class the concept of presenting their work as an illustrated children’s book. 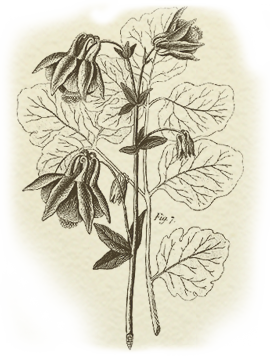 This technique required my students to take complex ecological concepts, distill them down, and communicate them clearly to a broad audience. With helpful examples and valuable insights from his own experience, Mark offered expert guidance that was really well received by my students. Their completed projects exceeded my expectations!